Natural instincts. 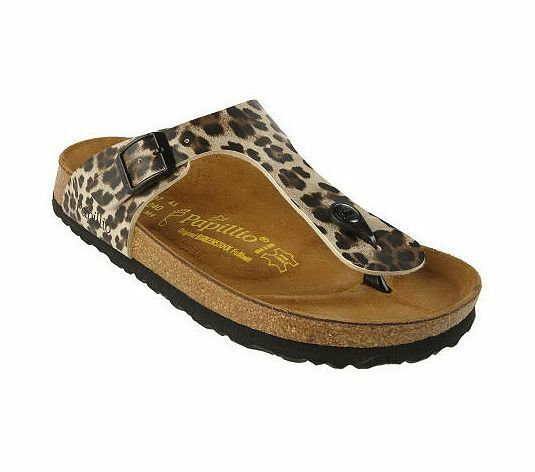 Go ahead, let yourself be drawn to these fierce, Leopard, Animal print thong sandals. With their padded insole and adjustable strap, they make quite the comfy catch. From Papillio. As part of the Birkenstock Boutique line, Papillio has been fashioning feet in chic colors and vivid prints since 1991. All shoes feature the original Birkenstock footbed, which has been tried, tested, and approved for over 200 years. Designed with long-lasting comfort and durability in mind, Papillio shoes are crafted from the finest natural leathers and other premium-quality materials.